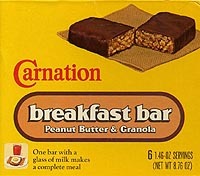 Two-thirds of Americans eat breakfast bars. Sales of these on-the-go meals are expected to increase up to 45% by 2011. And that's great news: studies show that eating breakfast can improve your focus, help maintain your weight, and give your metabolism a boost.